This paper summarises some recent developments in INSPIRE implementation from the JRC (Joint Research Centre) point of view. The INSPIRE process started around 11 years ago and today, clear results and benefits can be seen. 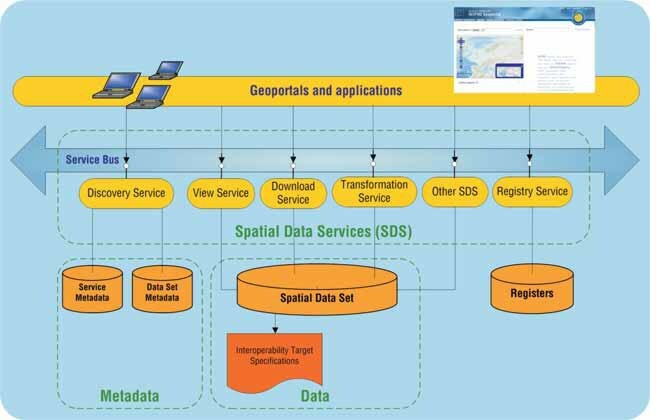 Spatial data are more accessible and shared more frequently between countries and at the European level. In addition to this, efficient, unified coordination and collaboration between different stakeholders and participants has been achieved, which is another great success. The JRC, as a scientific think-tank of the European Commission, has played a very important role in this process from the very beginning. This role is in line with its mission, which is to provide customer-driven scientific and technical support for the conception, development, implementation and monitoring of European Union (EU) policies. The JRC acts as the overall technical coordinator of INSPIRE, but it also carries out the activities necessary to support the coherent implementation of INSPIRE, by helping member states in the implementation process. Experiences drawn from collaboration and negotiation in each country and at the European level will be of great importance in the revision of the INSPIRE Directive, which is envisaged for 2014.